Coin collecting is a hobby that has been pursued for centuries – millennia even. It is said that there were coin collectors among the ancient Romans. What did they collect? Interestingly enough, Greek coins. As the centuries rolled on past the time of classical Greece and Rome, the presence and importance of coinage grew along with the economies of the Middle Ages, the Renaissance, and Age of Exploration into the New World. 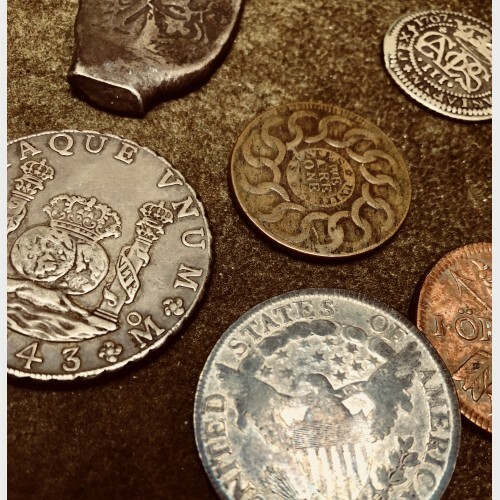 From the beginning, coin collectors were decidedly well to do – often high placed individuals in the royal courts or the church. Everyone else needed to use the coins that came their way for the necessities of living. With the growth of a genuine middle class that came with the Industrial Revolution of the 18th century, collector numbers increased. With the expansion of industry and population the numbers and types of coins continued apace. What had been described during the Renaissance as “The Hobby of Kings” was now accessible to a much larger audience. And so it continues to this day. It kinda depends on you. If you’re starting out early, like I did at age 11, you may be interested in the older coins that are still obtainable at reasonable cost. On that note, you may be surprised to know that the age of a coin is not directly related to value. Coins well over 100 years old are available in respectable condition at $15 to $50 or less. Or, let’s say you are all grown up and ready to begin in a profitable coin collecting investment. Perhaps you’ve already invested in gold or silver “bullion” coins whose price is mostly impacted by the spot commodity markets rather than collector interest. But you’ve heard stories of people making a profit in the collector coins and want to know more. In both above scenarios the first step is to learn something of the subject first. In the US, most coin collecting begins with US coins. If you’re inclined to “buy the book before the coin” we recommend “A Guide Book of United States Coins” by R. S. Yeoman. This book is available in our store for $15.95 and has been published annually since 1947. It is by far the most comprehensive index of all US coinage, including issues back to the first American colonies. In this fully illustrated presentation you will get answers to your questions about what coins were made when and where, and their approximate retail value. You will see how many of each coin was minted at each mint, and learn how a coin’s condition, along with its scarcity, affects its value. At London Coin Galleries Mission Viejo we maintain an extensive inventory of coins and banknotes of both US and foreign origin. Please feel free to visit our website at www.londoncoinmissionviejo.com or visit our store in The Shops at Mission Viejo. Call us at 949-364-0990. We’d enjoy meeting you.